How Do Waldorf Teachers Train? wonderful blog by Stephen Sagarin with many helpful articles on Waldorf Education! 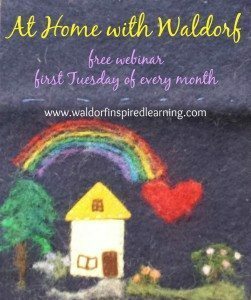 "So, You've Decided to Become a Waldorf Family"
a really helpful and FREE resource is the Parenting Passageway blog -- follow it! blog post from Momma Skyla explains why content sticks when you share it through storytelling! Doodle Notes: What's the Fuss All About? my blog post to explain why Main Lesson Books are so fabulous! "The Human Encounter: Parent-Teacher Relationships in a Waldorf School"
In keeping with the spirit of freedom, members are not required to sign articles of faith, and are encouraged to form independent judgments in religious matters. Nor do we have any formal written dogma. Each priest has the freedom to teach anything which does not contradict the content of the sacraments whose texts form the "bedrock" of The Christian Community. As a result, the teachings are rich, varied and evolving. They are inspired by traditional Christian theology, the original work of Rudolf Steiner and by independent research and insights of priests and members." I recommend two essential resources for every homeschooling family who is using, or researching, Waldorf. These materials, in and of themselves, are enough to help you plan and organize your entire homeschool journey through the grades. There are also plenty of free resources on this website (click on a grade level, above). I spend all my time creating loads of lists, links, and recommendations to help you fill out your plan with "what does it look like" in action. 3) If you are a "what does it look like" type of thinker and want to supplement these two excellent with a narrative description of the curriculum, you can do no better than Torin Finser's wonderful School as a Journey: The Eight-Year Odyssey of a Waldorf Teacher and His Class. New Webinar Topic Each Month! sample lesson from Live Education! Waldorf educational initiatives are just one branch which developed out of Steiner's extensive work in anthroposophy. The Anthroposophical Society was founded on December 28, 1912 in Cologne, Germany, with about 3000 members. "World Transformation and Self-Knowledge in the Face of Evil"
Waldorf Education falls under the Pedagogical Section. "For the Pedagogical Section, education is the foundation of social progress. The seeds of self-determination, tolerance and peace, human rights and international understanding are sown in education. This is the art of Waldorf pedagogy. " Many of his books, articles, and lectures are available here free of charge. This is a completely donation-run site so please support it if you find it helpful! 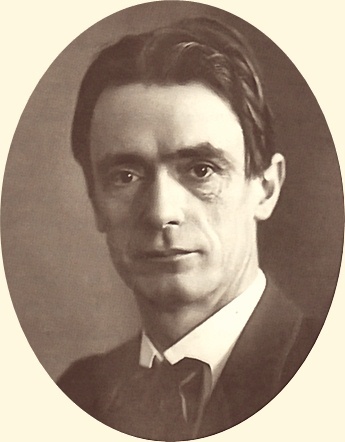 Rudolf Steiner was a particularly prolific writer; if you would like to read some Steiner but don't know where to begin, I absolutely recommend starting with "The Education of the Child in the Light of Anthroposophy". If you skip reading WHY Waldorf was created the way that it was, you will never truly understand it and you can't really say you are doing Waldorf education. Anthroposophy is important! If you'd like a "reading list" to follow, here is my list from my personal Waldorf library. This is NOT everything that he wrote! But it is an up-to-date list of what I have read of Steiner's works, and the order in which I am going through them. There are also links to which texts which I have found available online for free. You may also be interested in my Waldorf Book Group - Anthroposophy and Christianity notes, which I am keeping up-to-date on my blog. I've also made a complete list of the books in the Foundations of Waldorf Education Series, as well as links to EVERY ONE of the texts, available online for FREE!!! The Education of the Child in the Light of Anthroposophy -- provided FREE online. The Kingdom of Childhood: Introductory Talks on Waldorf Education . How to Know Higher Worlds: A Modern Path of Initiation . Anthroposophy in Everyday Life . The Foundations of Human Experience . Practical Advice to Teachers . Soul Economy: Body, Soul, and Spirit in Waldorf Education . A Lecture on Eurythmy -- provided FREE online. The Child's Changing Consciousness as the Basis of Pedagogical Practice (PDF) -- provided FREE online. Intuitive Thinking as a Spiritual Path: A Philosophy of Freedom. Guardian Angels: Connecting with Our Spiritual Guides and Helpers. The Fourth Dimesion: Sacred Geometry, Alchemy, and Mathematics. The Renewal of Education . Mystery of the Universe: The Human Being, Image of Creation . The Riddle of Humanity: The Spiritual Background Of Human History -- provided FREE online. Prayers for Mothers and Children -- provided FREE online. *NEW* The Work of the Angel in Our Astral Body -- provided FREE online. I found this lecture astonishing. On October 9, 1918 he predicts the discovery of Chemotherapy as well as the Atomic Bomb (both in the 1940's). *NEW* The Four Temperaments -- provided FREE online.